Short tale awarded with the V Santiago literary contest (2010). Lecturer of TV Production in a seminar for future producers. 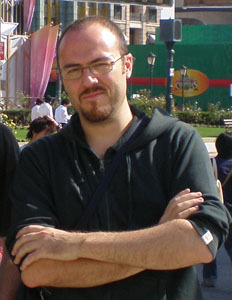 Assistant producer in the spanish tv show Supervivientes (Survivor) 2001. Assistant producer in the Premios Amigo gala 2000. Assistant producer in the Comedy Late Night La última noche. Assistant producer in the tv show Gran Hermano (Big brother) 2000. Assistant producer in tv commercial campaign for Telefonica. Assistant producer in the tv comedy show A toda risa, the educational series La aventura del saber and the comedy series Una de dos. Script and Preliminary production of a documentary about Julio Romero de Torres.